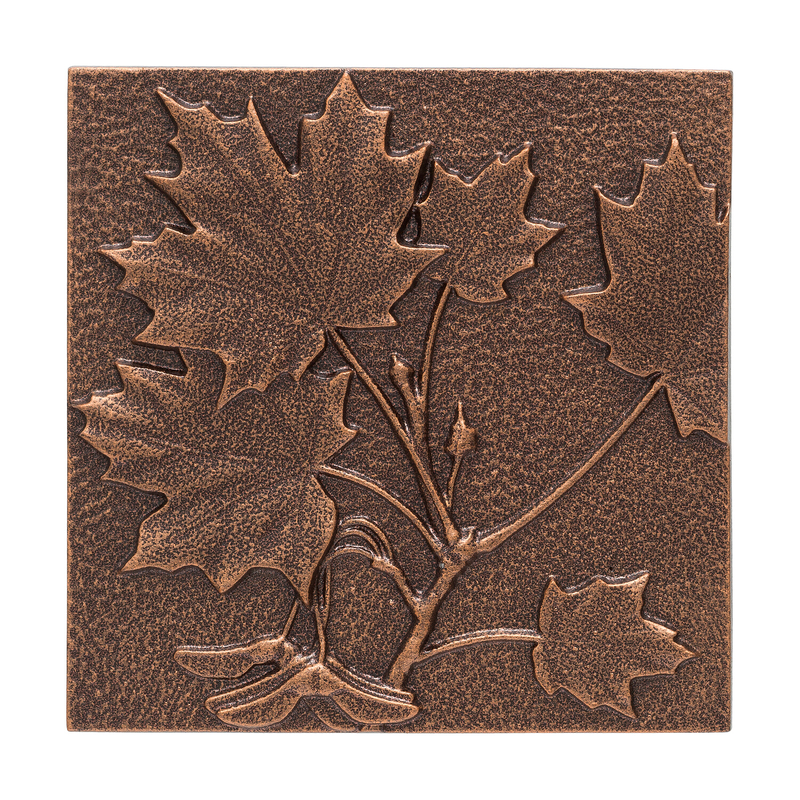 Unique Maple Leaf theme compliments your homes decor. Made of cast aluminum - will not rust. 8"x 8" in size, The wall décor sits 1/2" off the wall once mounted.